For the parents of deaf children, there can be innumerable hurdles in their way with barriers at every turn. This is why a support network is so vital in helping to raise children who are deaf or hearing impaired. 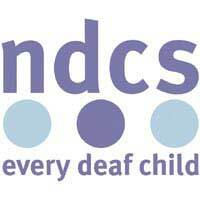 Charities often fulfil this role and the National Deaf Children's Society is particularly helpful for parents of deaf children, the children themselves and even the siblings in a family. The support they offer extends to every walk of life in which people may need assistance. Family officers are the backbone of the NCDS' support network. Every family which contacts the NCDS will be assigned a family officer who will then be able to help them with all their needs. They can offer a wide range of support, advice and practical help but will never attempt to make decisions for a family or influence their choices in any way. The family officer will look after the family in a campaigning role as well, by making sure the family's voice is heard when it comes to their needs and make sure they are well represented by all of the organisations which should look after them. Another place where they come in is in the field of understanding terminology and making sure the family have all of the information they need about the conditions, drugs and procedures which doctors and other healthcare professionals may well talk about. Depending on each child's individual condition, it may be that the family do not meet other deaf children and therefore do not have anyone to share experiences with. This is where the support of the NDCS comes in handy. The society can help parents to meet other parents in a similar situation to themselves and the children to make friends. The society's main forum for doing this is in special weekends away where children who are new to the society and their families go away together and take part in a whole range of activities. It allows the children to bond with others in a similar situation and parents to share experiences, hints and tips. The weekends are free, inclusive of all meals, and NDCS speakers are on hand to work through issues with parents at special workshops while the children, and their siblings if the family wishes, are looked after. While the support is essential for the emotional wellbeing of both parents and children, the NDCS also offers very tangible help by allowing families the use of a wide range of equipment which may well improve the child's life. There is also a grant system in place to allow families to apply for funding to buy computers which will assist their deaf child in communicating with those around him. Any family which does not already use the services of the NDCS should indeed take advantage of all that is on offer. Raising a deaf child can present many challenges, not least of all how they are perceived by society. Having the support and help of the NDCS takes some of the pressure off and allows a family to feel that there is someone on their side, working on their behalf to make sure their child gets the very best start to life possible.